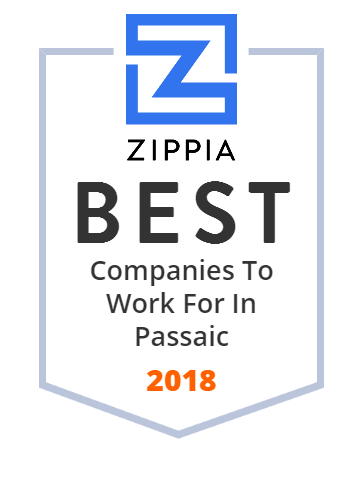 We hand-curated a list of the best companies to work for headquartered in and around Passaic, NJ using data on salaries, company financial health, and employee diversity. They provide Falstrom customers and ultimately their warfighters with the highest reliability solutions for electronic enclosures and electromechanical assemblies that are an integral part of systems required to complete their missions safely. Since 1870, Falstrom Company has been synonymous with excellence in design, manufacturing, quality, and service. Established in 1983, Artistic Fence is a locally owned and operated company that has provided customers in Passaic and surrounding areas of New Jersey with long-lasting fences and home enclosures that accentuate the beauty and artistry of the home for over thirty years. Their top priority at Artistic Fence is the satisfaction of their customers. St. Mary Health Corporation operates as a non-profit, community-based acute care hospital. It is a tertiary medical center that provides cardiovascular services, programs for cancer care, maternal-child health, and outpatient behavioral health services. The company also provides services in the areas of pain management, sleep, vascular laboratory, cardiac rehabilitation, medical imaging, advanced wounds, same day surgery, endoscopy, nutrition care services, case management, social work, community health, and charity care. St. Mary Health Corporation is based in Passaic, New Jersey. As of August 15, 2014, St. Mary Health Corporation operates as a subsidiary of Prime Healthcare Services, Inc. The goal of the Podiatric Medicine and Surgery Residency Program, with added credential in Reconstructive Rearfoot and Ankle Surgery (PMSR/RRA) at St. Mary's Hospital is to graduate surgeons properly trained in reconstructive surgery of the forefoot, rearfoot, and ankle. The Podiatric Medicine and Surgery Residency program at St. Mary's Hospital intends to produce well-rounded podiatric physicians and surgeons.